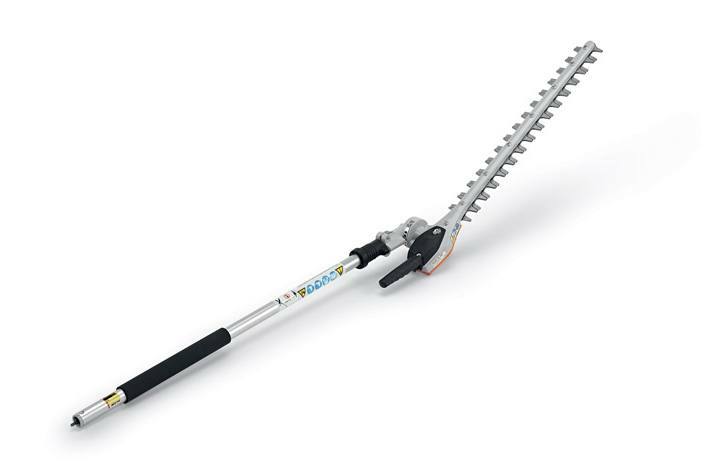 A KombiSystem hedge trimmer attachment with a lightweight gearbox and an adjustable 145° working range. With its redesigned gearbox and modern color scheme, the STIHL HL-KM 145° adjustable hedge trimmer attachment provides excellent, flexible cutting performance. Compatible with the STIHL KombiSystem, it features a 145° working range and is lighter than previous models. It will help reduce fatigue when trimming numerous and extensive hedges.